Over the eons Lake Superior’s waves carved two natural bays out of the northern coastline roughly twenty-two miles from Duluth. The Ojibwe called the site Wasswewining, “a place to spear by moonlight.” In 1856 Thomas Saxon became the first European to settle at what would initially be named Agate Bay. The following year a sawmill sprang up in the adjacent bay, marking the birth of a settlement called Burlington. Outside of a little logging and some fishing, the two bays had no industry to support a population; the financial panic of 1857 also kept settlers away. That all changed in 1884 when Charlemagne Tower’s Duluth & Iron Range Railroad built an ore dock at Agate Bay to load ore transported from its Tower-Soudan mine on the newly opened Vermilion Iron Range. The community boomed. 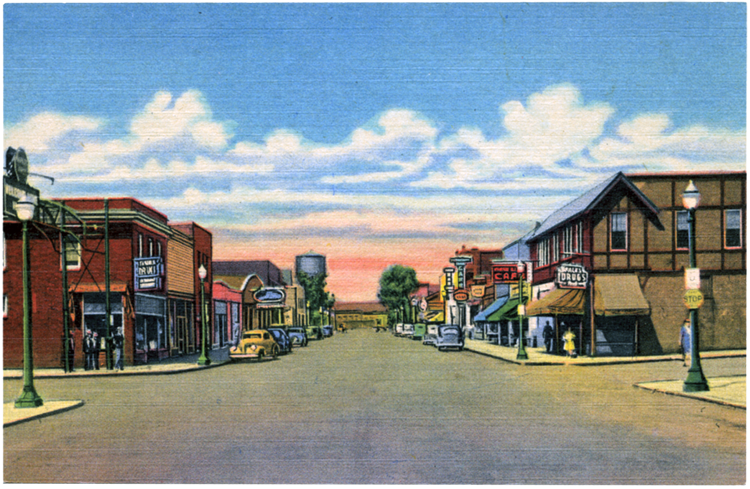 One notorious two-block stretch on the southwestern edge of Agate Bay, “Whiskey Row,” was the only land in town that was not owned by the D&IR and boasted twenty-two saloons in 1883; they all burned down two years later. Agate Bay and Burlington Bay came together in 1885, when the town of Two Harbors was officially platted. The town awarded its first liquor license four years later, but did not form a police department until 1907. Two Harbors, home to some of the world’s largest ore docks, would grow to be the busiest port on Lake Superior outside of the Twin Ports. Two Harbors also gave birth to Minnesota Mining and Manufacturing, better known today as 3M, one of the largest companies in the world. In 1902 Two Harbors attorney John Dwan and a few of his friends organized the company, intending to set up a mining operation along the shore at Crystal Bay near the Baptism River to extract corundum, an abrasive used in grinding wheels—it would have been one of only two such operations in North America. Unfortunately, the mineral they mined at Crystal Bay was not corundum but anorthosite, a much less valuable product. The company nearly collapsed before St. Paul’s Lucius P. Ordway bailed them out. They set up a sandpaper factory in an old Duluth flour mill, but the inferiority of the anorthosite and Duluth’s humidity almost crushed them again. Ordway then moved the company to St. Paul where it thrived—and continues to do so.